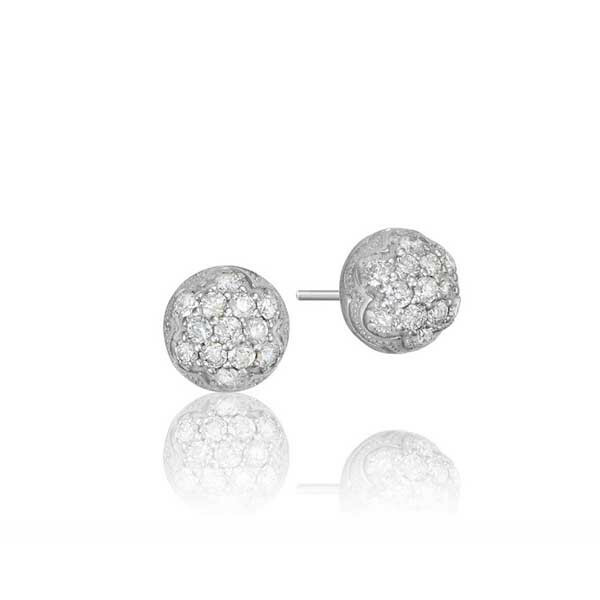 This pair of diamond stud earrings from the Sonoma Mist collection by Tacori are exemplary. A dome is crafted in sterling silver with a border of milgrain details and scalloped edges while bright white diamonds sparkle from within. With so many shimmering parts, people are bound to notice this Tacori girl!